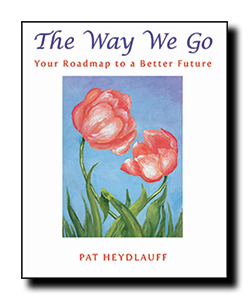 The Way We Go, Your Roadmap to a Better Future is a unique mixture of spiritual artwork and words that inspire you to ask questions and seek answers within. They encourage you to find your inner connection and empower you to reach your unlimited potential. A spiritual revolution is about to explode in our country – one where people are looking for a spiritual connection, not a religious or church experience. The flood gates have opened with the arrival of the 21st Century where people hunger for connection and meaning; a connection they are longing for, searching for – almost desperately. 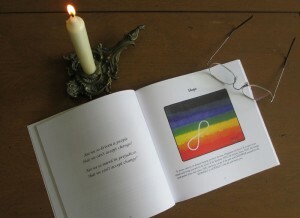 People feel they have a connection to something and this book is a roadmap to help them find it. It points the way toward finding spiritual knowledge and unconditional love encompassing the body, mind and spirit. It is a guide empowering the reader find inner peace and a deep eternal connection that has been there since the beginning of time. or ask for it at your favorite book store.